I have been wanting to write a blog post on injuries arising from tabla playing and practice, as this is something I have recently experienced. Playing almost any kind of instrument typically involves many hours of repetitive movements of hands, wrists, fingers as well as shoulders and other such joints. This includes all of the Indian instruments as well as Western instruments such as piano, guitar etc. Many musicians face repetitive strain injury over many hours of practice and some seek professional help to deal with their issues. There have been cases where people have left their injury unattended to the extent that they were no longer able to perform or play and had to quit their instrument. A terrible misfortune for any aspiring musician! 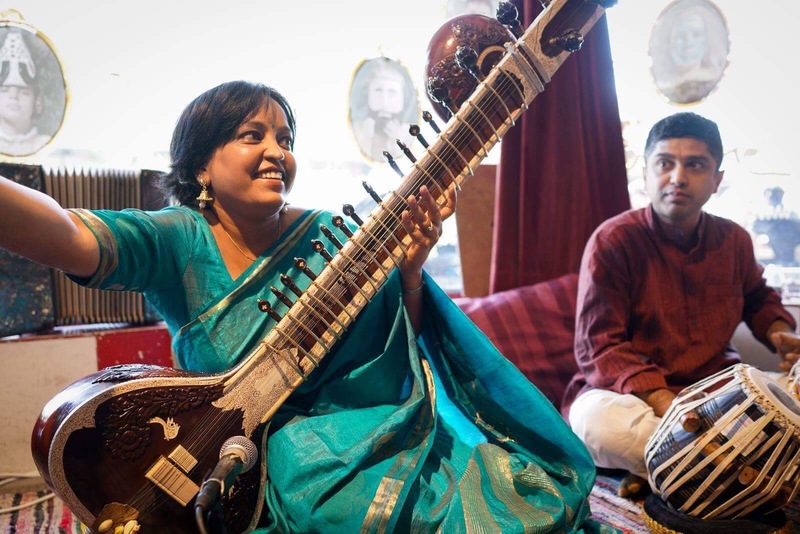 I will devote the rest of this post to focus on tabla players’ injuries specifically, however much of this information is generally relevant to any other instrument as well – both Indian and non-Indian. First of all, a clear distinction should be made between “strenuous practice” and “pain”. If one goes running, cycling, or indeed plays tabla for a few minutes, one will feel muscle strain which will eventually turn into muscle fatigue over minutes and hours of practice. If running, you would typically stop and walk for a few minutes once you feel out of breath or your legs are starting to hurt, before resuming your run. It should be exactly the same with practicing your instrument – play to your capacity, but when you feel you are starting to strain, return to a more manageable speed. At no point is it normal to feel pain while playing tabla. It is normal to feel some amount of “strain”, but not “pain”. Pain is your body telling you that it is unable to cope with what you are doing and needs to stop. Any advice to “play through pain” is simply wrong and should not be followed under any circumstances. Unfortunately, there are many musicians who have been given this wrong advice. I have a few theories about the reasons behind this. 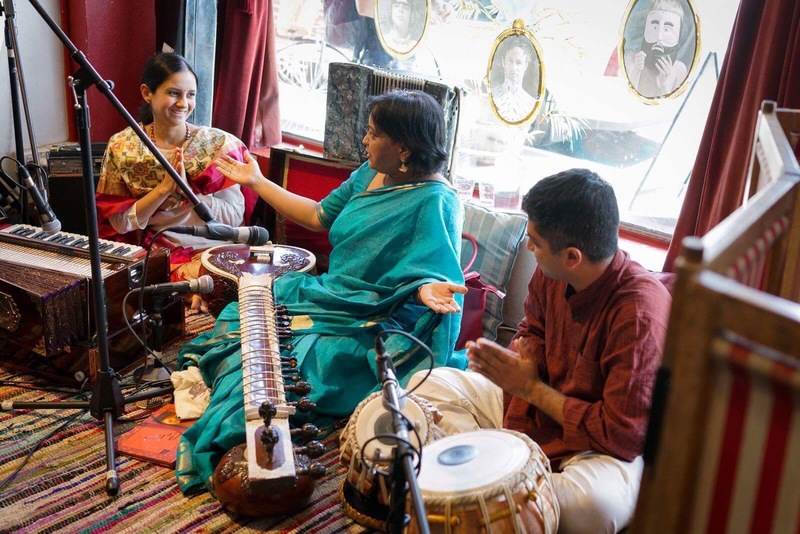 I think part of the problem is that Indian classical music is still largely dominated by people who are from musical families or who, at the very least, have been playing their instrument since early childhood. This is in contrast to many Westerners and non-Indians who would in many cases only have picked up their Indian classical interest and/or instrument later on in life. Those who grew up playing their instrument in India would therefore be accustomed to the postures and movements of playing the instrument. Sitting on the floor, for example, would come naturally to them, whereas it may not for a “non-native”. 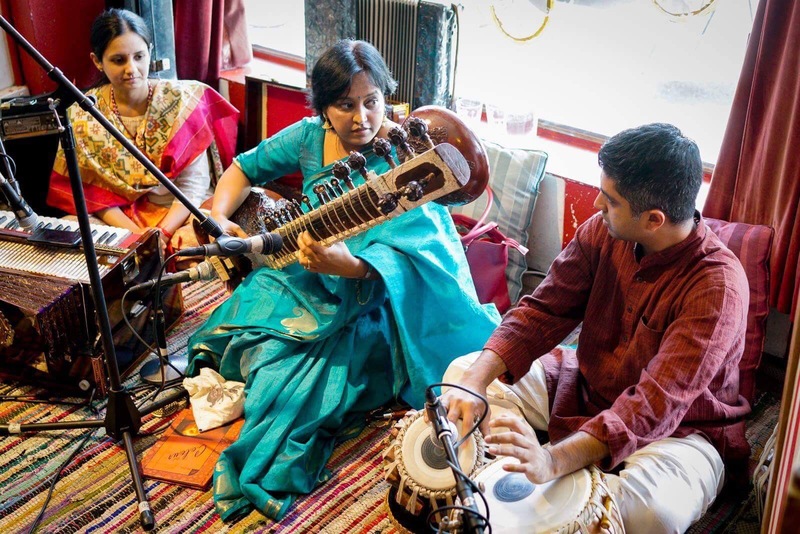 There is therefore much greater scope for error and injury, however, the Indian musicians who have been trained since childhood in the traditional manner are often not equipped to understand this. I therefore say again: Do not attempt to “play through pain”. You risk long-term injury and open yourself up to the worst case scenario of having to give up playing your instrument – I have actually seen this happen to a good friend of mine. The good news is that most physical ailments can be corrected through proper posture and/or a proper practice regimen. 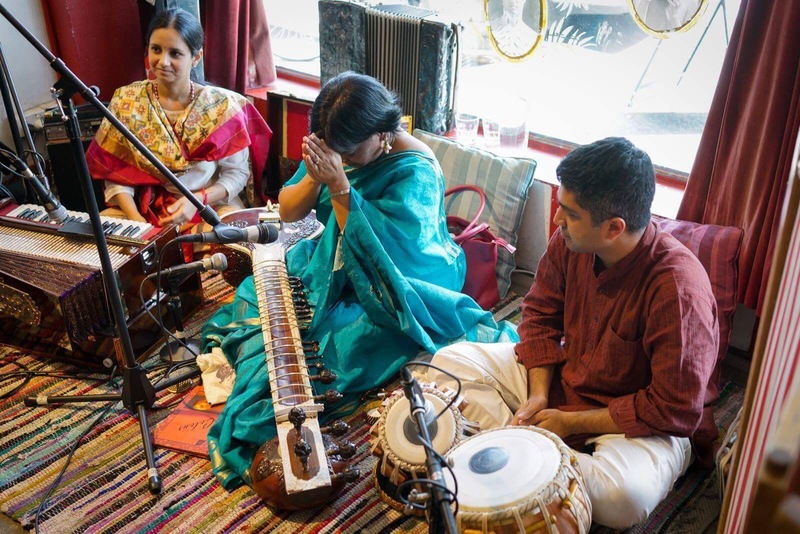 One specific observation I wish to share from my personal experience – I have found that for me personally, it’s best not to sit on a cushion while playing or practicing tabla. For the last couple of years, I had been in the habit of sitting on a soft cushion while playing, and I discovered that this was actually causing additional stress on my shoulders and back, which was leading to pain in my forearm. More in-depth explanation follows. Tabla playing requires careful and coordinated use of the shoulders, back, forearms, wrists and ultimately fingers to make the intricate and complex movements required to bring out the exquisite tonal qualities of this unique percussion instrument. Beginner tabla players will tend to focus their movements on hands and wrists. However, as one gains more experience as a tabla player and starts to increase their speed and volume, they will typically (or at least should be) start using more of their shoulders and eventually their back to generate force and power. This shift is gradual. However, if done properly, this means that most of the tension in the body of an advanced tabla player is in their shoulders and back, which is ideal because these muscles and joints are much stronger than those of the arm and wrist, and therefore much better suited to long and hard practice. In order to properly engage these muscles, one needs to be sitting on a strong and stable foundation. My experience suggests that sitting on the floor is the best way to obtain this stable foundation. Sitting on a carpet, a rug or a very thin cushion may be OK, as long as it doesn’t compromise the stability of your posture. I had got into the habit of sitting on a large, soft cushion, thinking that it would be better to be slightly more elevated when playing the instrument. What I found was that this was actually detrimental to my posture, and led to pain in my forearm. The reason for this is that sitting on the cushion was, I believe, compromising the stability of my posture. This ultimate would have led to greater tension in my upper back and shoulders, as they were having to compensate for the lack of a stable foundation. I was experiencing pain in my right forearm for the last 1 – 2 years and could not work out what the problem was. I tried to change my posture … practice more/less … but could not work out the root cause. After several visits to therapists without much change, one day I developed a hunch that using the cushion may be contributing to the problem. So, I started to practice without the and voila – the pain in my forearm was gone and has not since returned! I was rather amazed that this simple change could have so profound an effect, hence I thought to share this information via this blog post in case it is relevant to anyone else out there. If you are experiencing pain or discomfort (beyond what can be considered acceptable limits of any strenuous activity) please feel free to contact me to share your experience. I have been teaching myself to play the Theka of the Ati Vilambit Ektaal (12 beat cycle) in preparation for accompanying the Bada Khayal style of vocal singing. Ati Vilambit means “extremely slow”. The Bada Khayal movement is an extremely slow, meditative movement which provides the singer the opportunity to explore the raga in an alaap-like fashion, yet provides the structure of a composition. Keeping a mental count “1 2 3 4” as one is going through the cycle of the theka can help to keep on track. One may notice that the bol Ti Ra Ki Ta corresponds to the count of “1 2 3 4”. Hence the speed at which one plays Ti Ra Ki Ta can be a useful checkpoint for the overall tempo. Usually a number of additional bols are added to ornament the Theka, which I have not given above, as they are up to the taste and creativity of the individual tabla artist. I recommend listening to recordings of professional tabla players providing accompaniment during a Bada Khayal performance to get ideas on suitable theka ornamentations. After some practice The ornamentations start to become second nature. It is much easier to get “lost” within the Ati Vilambit Theka than in Teentaal. First of all, Teentaal is rarely played in as slow a speed as Ati Vilambit Ektaal. Moreover, the structure and bols of Teentaal are much more regular and repetitive than Ektaal. A few of the bols of the Theka are changed to suit the slower tempo – in particular the final “Na” is played as “Dha”, in order to make it clear whether we are on the 12th beat and not the 6th beat. Also “DhaGe” is generally played as “Dha _ Dha _”. The degree of ornamentation of the Theka appears to be a matter of personal preference. I have heard recordings where tabla players perform a significant amount of ornamentation, sometimes to the extent that one can barely recognize the theka as such! Others perform a more minimal style of ornamentation – which is my personal preference. Aesthetically it seems to better suit the slow and meditative mood of Bada Khayal. Veteran tabla player Pandit Sankha Chatterjee has commented that it is more difficult to accompany vocals than to accompany instrumental. This is an interesting observation. 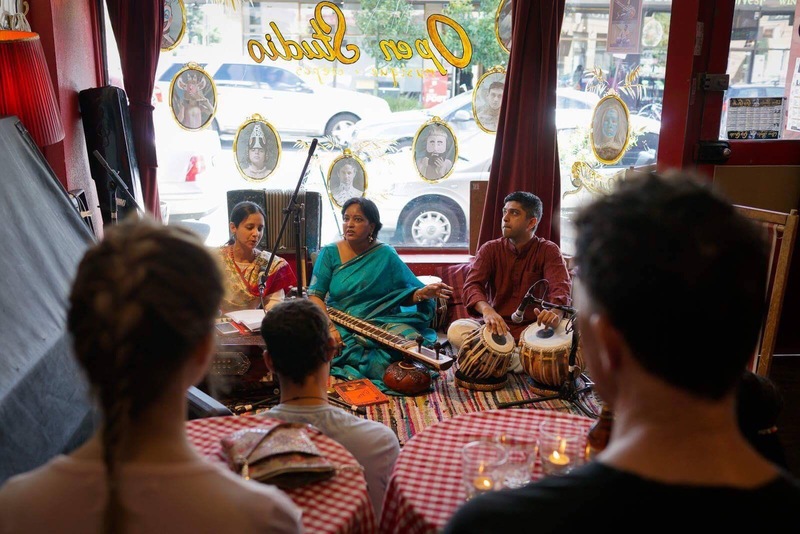 At first glance, tabla players are typically doing more “interesting” things when they accompany instrumentalists, playing multiple solos, and usually ending with a fast “jhalla” that requires quite a bit of physical dexterity to play well. Whereas with vocal accompaniment they are usually just playing theka most of the time. So Pandit Chatterjee’s observation is interesting, and somewhat non-intuitive. The reason he offers for this opinion is that even a not-so-good tabla player can accompany an instrumentalist and can still sound good. But to accompany a vocalist you have to have a very crisp, clear theka and to be able to keep a very solid, unwavering tempo. This is harder to do than it may appear. My personal experience somewhat corroborates this, although I think it would also be fair to say that it can be challenging to accompany an instrumentalist as well – one needs a certain depth of material, simply playing theka is not enough – but that being said, I think a tabla player needs to have a certain maturity and emotional depth to properly accompany a classical vocalist. All this is perhaps brought to a head when accompanying a Bada Khayal performance. The tabla player needs to have a very strong command of the rhythmic cycle in order to keep the Theka. They have to have the sense of how to ornament the Theka, but restrain themselves from over-doing it lest they interfere with the vocal singer’s performance. If you have enjoyed this post, please drop me a line in the comments.